Hervé Niquet possesses two constant character traits: he is an indefatigable excavator of forgotten music, and he loves polyphony and ‘large forms’. A few years ago, he caused a sensation by exhuming the monumental music of Striggio. 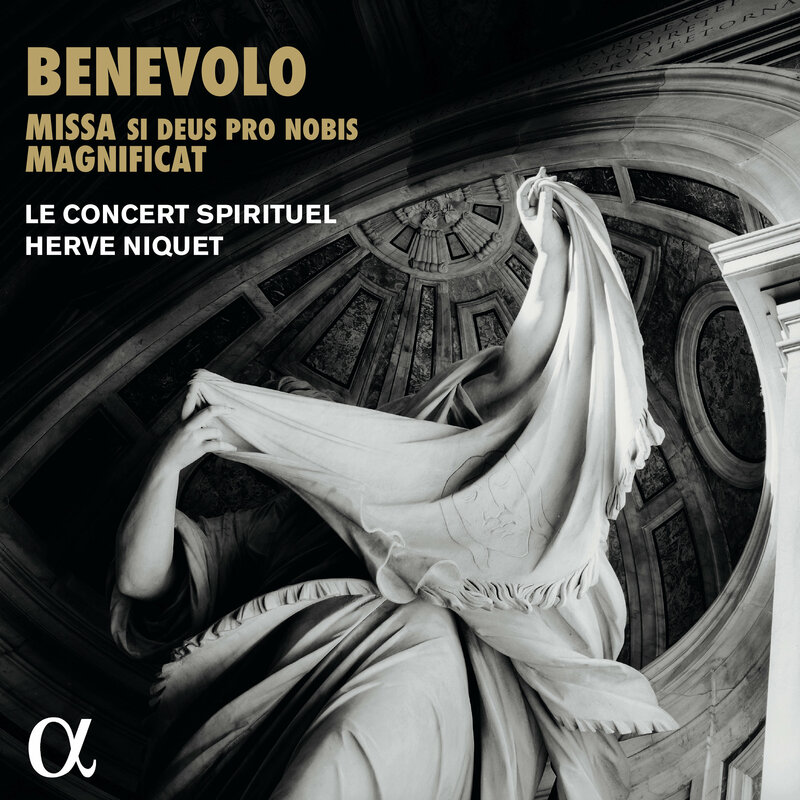 To mark the thirtieth anniversary of his ensemble, Le Concert Spirituel, he now tackles a new peak of polyphony: a mass by Orazio Benevolo (1605–72) performed by eight choirs of four singers, accompanied by fifteen continuo players. In concert, the choirs are spread out around the nave, with the audience in the middle. Benevolo was born to a Burgundian confectioner father who had emigrated to Rome. Educated at the choir school of San Luigi dei Francesi, he became one of the greatest geniuses of polychorality, a prolific composer who represented the splendours of French art in Rome. He ended his career as maestro di cappella at the Vatican. This music has been resurrected thanks to the work of the great musicologist Jean Lionnet, who spent many years copying out by hand the music of numerous Italian composers in the Vatican archives, from which it was impossible to borrow documents. As a result of his labours the Missa ‘Si Deus pro nobis’ has now been recorded, accompanied by vocal and instrumental pieces by Monteverdi, Frescobaldi and Palestrina. 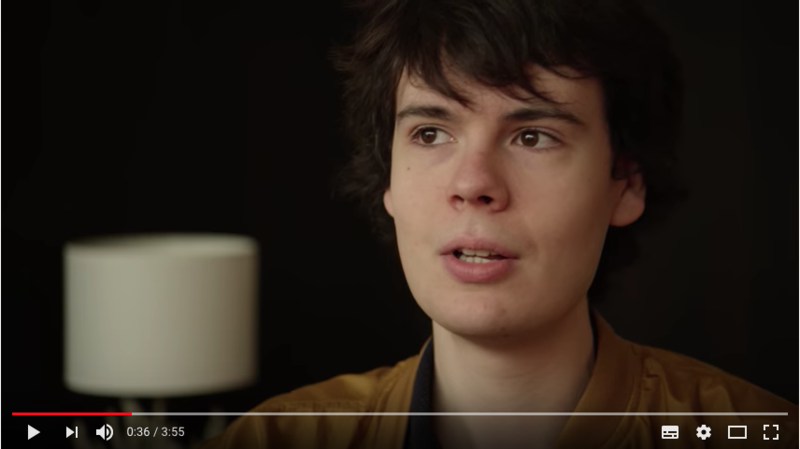 Following his First Prize at the Bruges Competition and his first album, devoted to the Forqueray family (‘Choc’ of the Year in Classica, Editor’s Choice in Gramophone, Grand Prix de l’Académie Charles Cros), the Franco American harpsichordist Justin Taylor has recently been awarded the ‘Révélation Musicale’ Prize of the French Critics’ Circle. 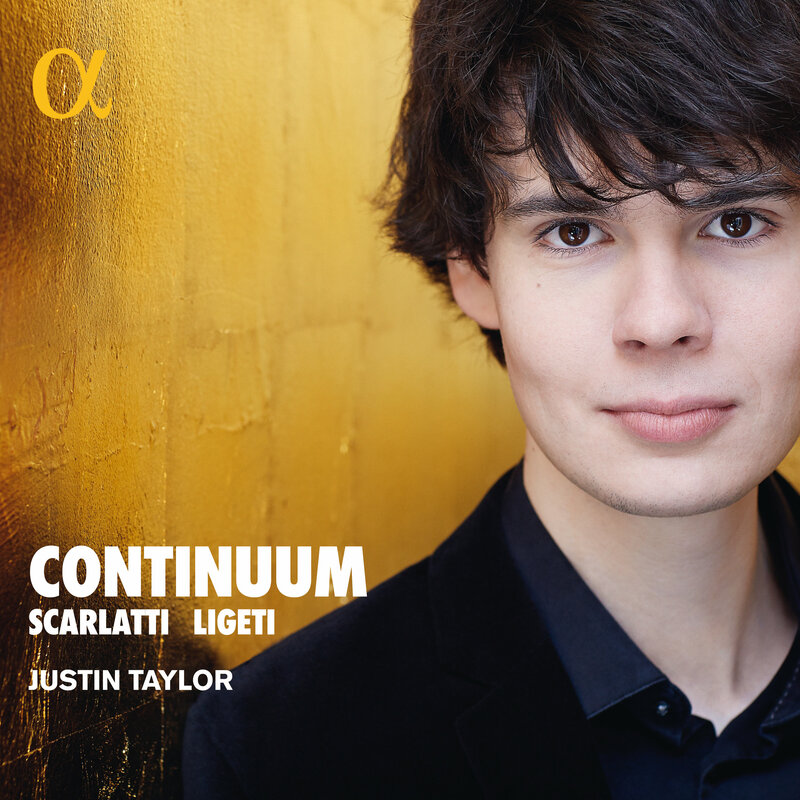 His career has developed rapidly, both as soloist (harpsichordist and also fortepianist) and as director of his ensemble, the Taylor Consort, with which Alpha will soon be recording... For his second recital, Justin Taylor juxtaposes Scarlatti and Ligeti, two composers whose periods and universes seem so remote from each other, yet who show numerous affinities: in their inventiveness, the virtuosity of their respective languages and their common urge to push the keyboard to its very limits. Continuum builds a bridgehead between these two hypersensitive composers by intertwining Ligeti’s three emblematic (and spectacular!) pieces for solo harpsichord with sonatas by Scarlatti. 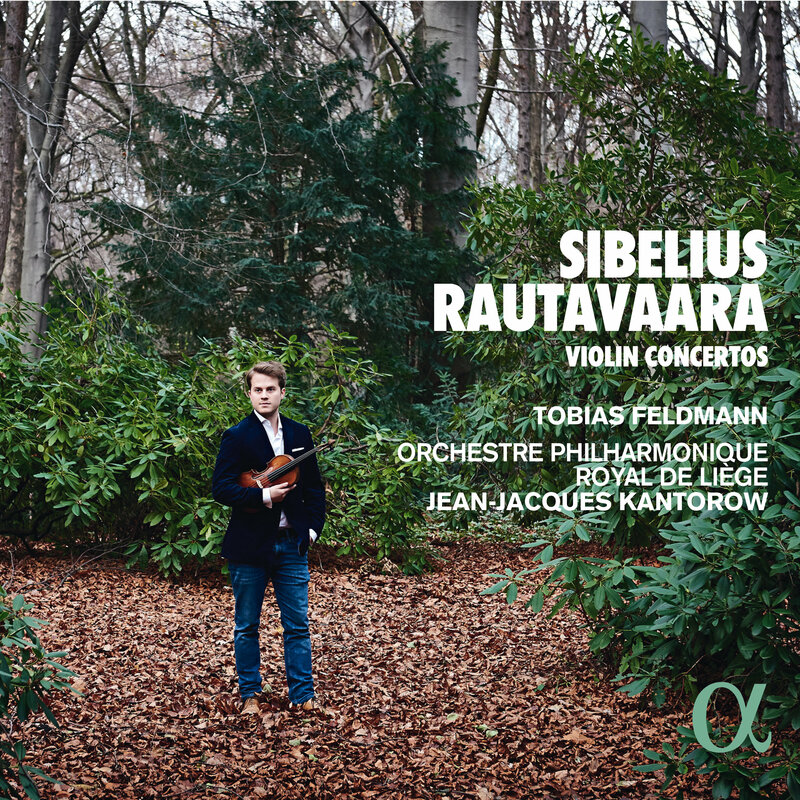 Following his Alpha recording of sonatas by Prokofiev, Ravel and Strauss, the violinist Tobias Feldmann now turns to the concerto form, performing the two major works of the Finnish repertoire for the instrument: the violin concertos of Jean Sibelius and Einojuhani Rautavaara. Premiered in Helsinki in 1904, the Sibelius Concerto proved to be exceptionally difficult technically for the soloist. Sibelius revised his score, but subsequently composed for violin and orchestra only in shorter forms, the serenade and the humoresque. 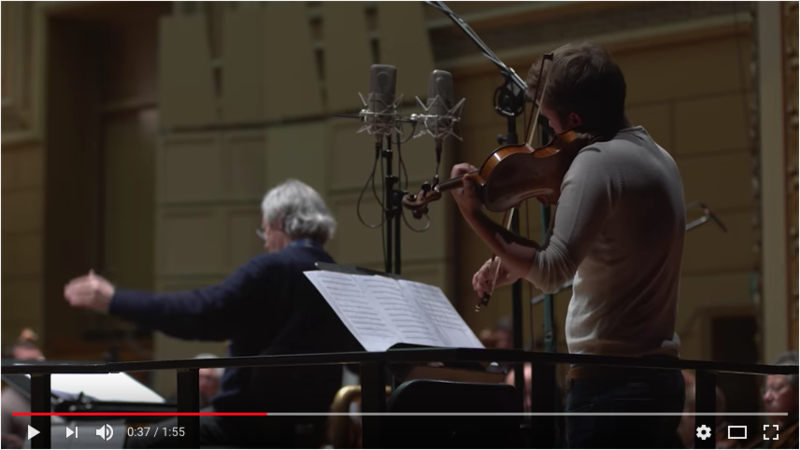 It was not until nearly seventy years later that a Finnish composer wrote another large-scale work for violin and orchestra, with the Concerto of Rautavaara, which in all respects equals the degree of virtuosity demanded by the earlier work. Following critically acclaimed Glyndebourne performances in Michael Grandage’s Billy Budd and Brett Dean’s Hamlet, Jacques Imbrailo has established himself as one of the most exciting young baritones on the world stage. His debut solo recital for Linn sees him perform with fellow Prince Consort alumni, Alisdair Hogarth, in a mouth-watering programme of Sibelius and Rachmaninov songs. Among the selection is In the silence of the mysterious night, one of Rachmaninov’s best-loved songs and one of the composer’s greatest achievements in this genre. Rachmaninov’s trademark melodicism is met with a perfect partner in Imbrailo’s lyric baritone, whilst his expressive and highly intricate accompaniments find a worthy partner in Hogarth. 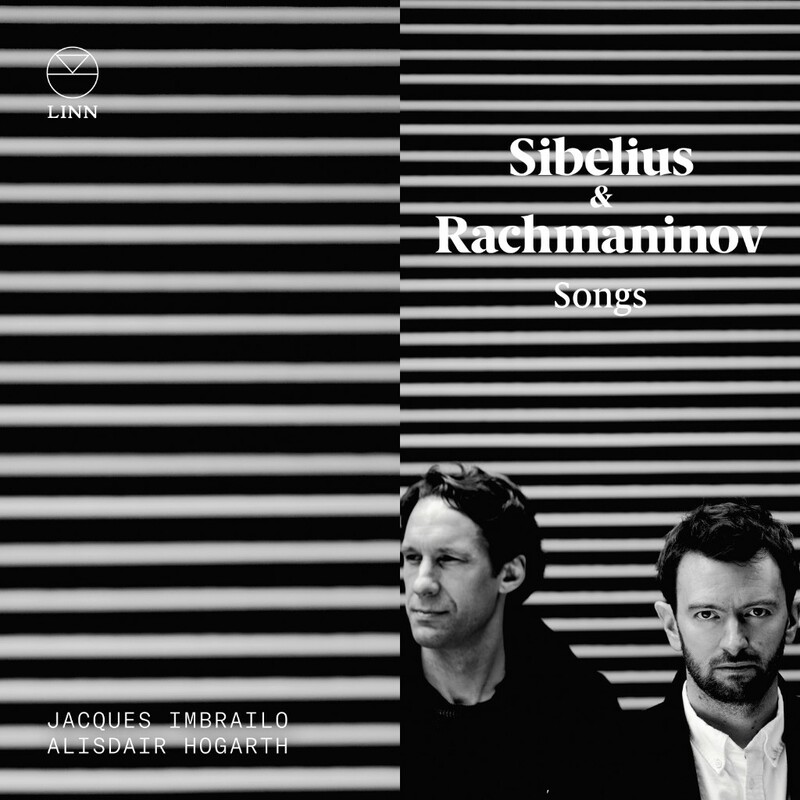 Providing a welcome contrast to the intensity of Rachmaninov is the Nordic sentimentality that Sibelius brings to his highly romantic songs. The pearl of the Opus 37 collection is Var det en dröm?, which the composer himself described as ‘my most beautiful song’. Together the duo perfectly communicates the passions and anxieties of a poet’s lost love; the rich tone of Imbrailo’s final note provides an immensely satisfying close. Richard Egarr’s impressive career, both as a solo keyboardist and conductor (notably with the Academy of Ancient Music), has cemented his reputation as one of the UK’s most compelling musicians. 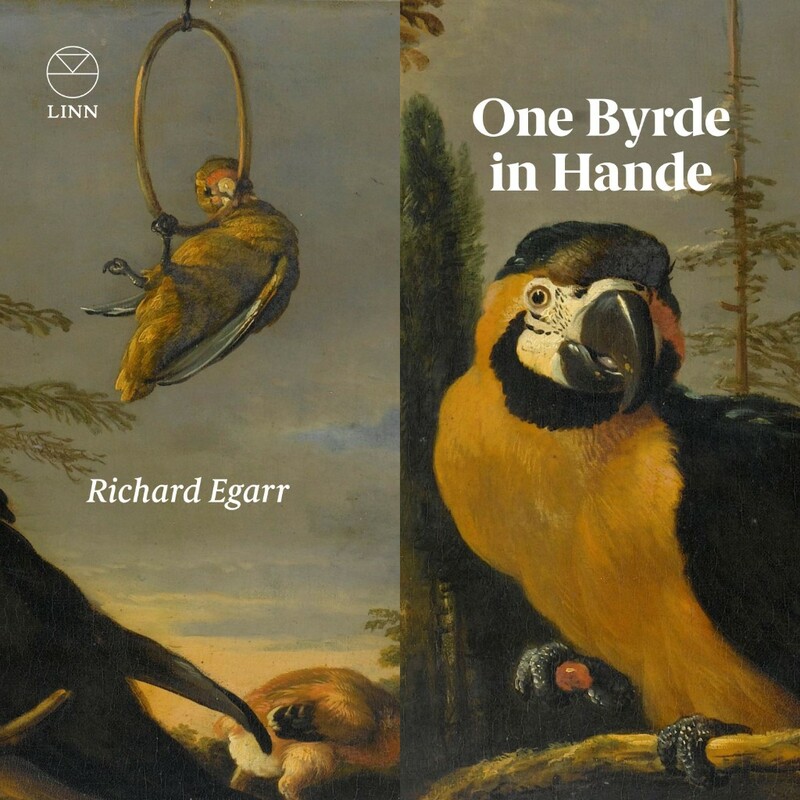 In his debut solo recording for Linn, Egarr charts the extraordinary breadth of invention at play in works by William Byrd. One of English music’s most influential figures, Byrd’s innovative style is evident throughout this well-chosen program of preludes, grounds and fantasies. The Fantasia in A minor, MB13, demonstrates the unlimited scope of Byrd’s imagination; intricate rhythms, surprising modulations and changing textures precede a finale requiring a previously unequalled level of dexterous virtuosity. Egarr similarly relishes the technical demands of Byrd’s descriptive masterpiece, The bells. This incredible composition begins with a single toll before developing into an elaborate and thrillingly complex showpiece of pealing bells. Egarr’s elegant phrasing, infectious enthusiasm and rich embellishments result in insightful performances. 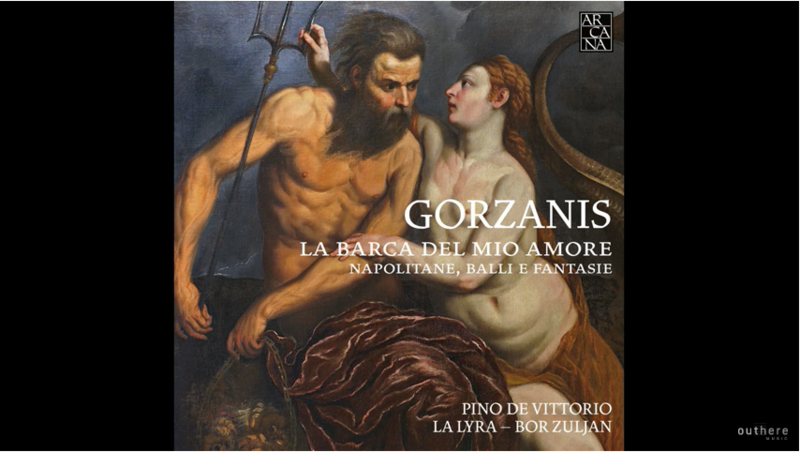 Giacomo Gorzanis (c.1530-c.1575), ‘il Cieco Pugliese’, was one of the great lute virtuosos of the sixteenth century. Born in Apulia, by 1557 he had settled in Trieste, where he soon established close contacts with the nobility of Carinthia and Carniola. His travels also took him to Graz, where he performed for Charles II, Archduke of Austria and brother of the Holy Roman Emperor Maximilian II. Four books of his lute music and two books of napolitane were published in Venice between 1561 and 1579. Of particular interest is his manuscript of 1567, containing twenty-four pairs of dances in all the ‘major’ and ‘minor’ modes. 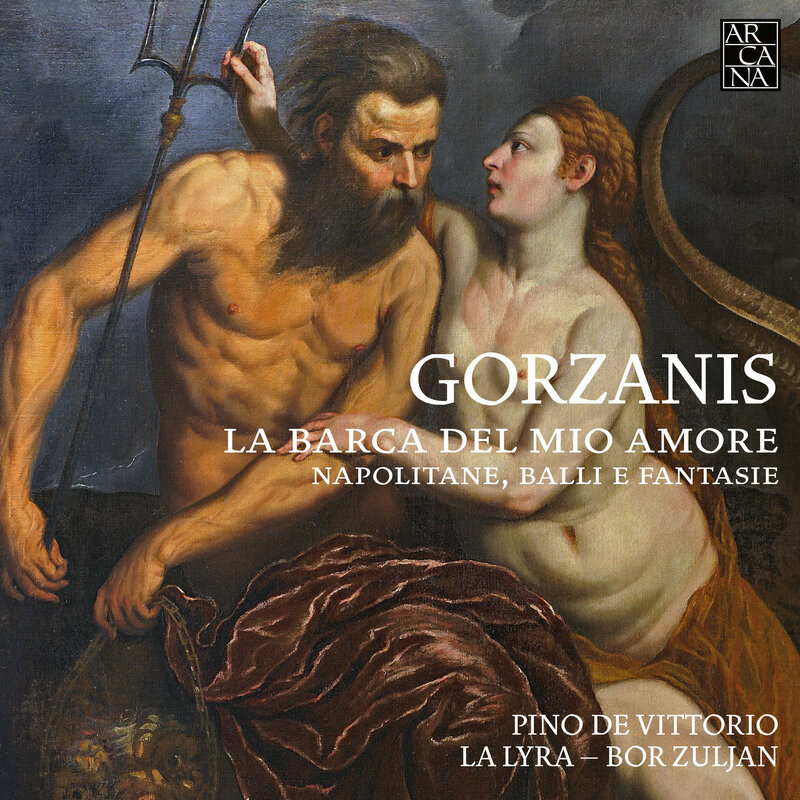 From intimate lute fantasias to lively dances and playful villanelle alla napolitana, this original and colourful programme is the first to present the full range of his works. Full of little-known treasures, it is enriched by the extraordinary voice and presence of the charismatic Puglian singer Pino De Vittorio.